Usually I make homemade salad dressings or just use oil and vinegar, but for some reason I have always bought Caesar dressing – I think the raw eggs scared me. Turns out a little mayonnaise solves that problem as it contains pasteurized eggs. Disclaimer: I realize this recipe is not 100% “traditional” Caesar dressing – (see quotation marks in recipe title) However, it’s super delicious and better than anything you can buy in a bottle. I loved the creamy, lemony and Parmesan flavor so much, I was using it as a dressing, spread and dip all week long! 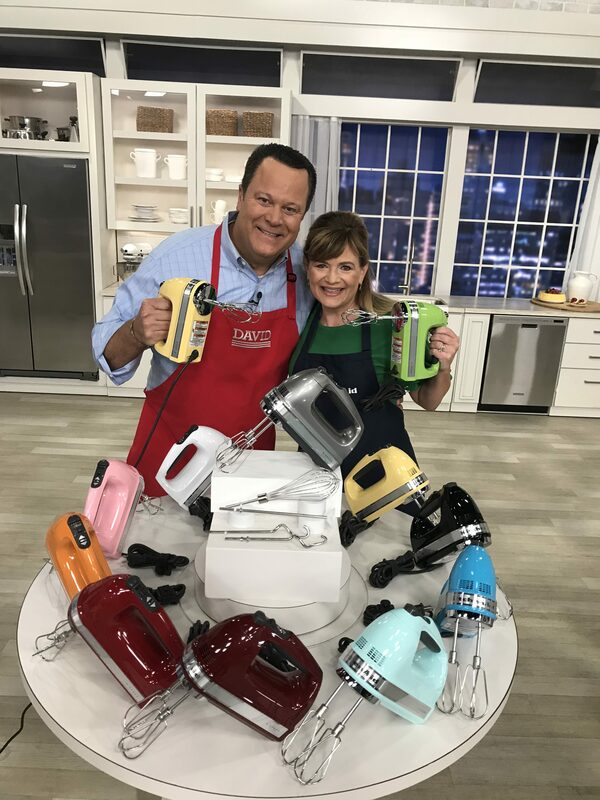 I used my KitchenAid 3.5 cup Chopper to make this dressing, but you could make it in any chopper, food processor or blender. I love how you can grind a few chunks of fresh Parmesan right in your chopper instead of using pre-ground – really makes a big taste difference! Usually I make homemade salad dressings or just use oil and vinegar, but for some reason I have always bought Caesar dressing - I think the raw eggs scared me. Turns out a little mayonnaise solves that problem as it contains pasteurized eggs. 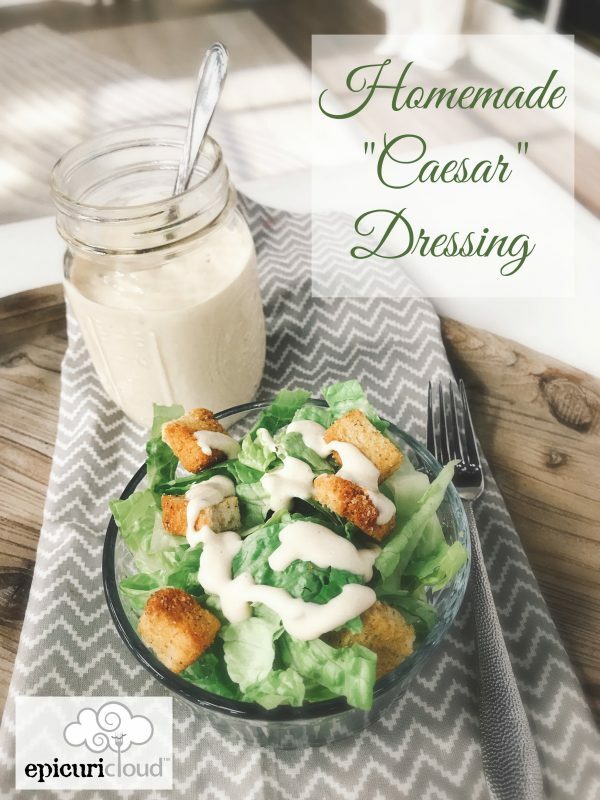 Disclaimer: I realize this recipe is not 100% "traditional" Caesar dressing - (see quotation marks in recipe title) However, it's super delicious and better than anything you can buy in a bottle. I loved the creamy, lemony and Parmesan flavor so much, I was using it as a dressing, spread and dip all week long! If grinding your own cheese, go ahead and do that. To the ground cheese, add your garlic clove(s) and process until finely minced with the cheese. Add the rest of the ingredients except for the oil and process until smooth. With the machine running, drizzle in slowly 3 tablespoons oil.